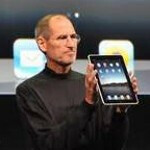 AT&T to cut Apple iPad accessories by 50% starting Sunday? If a couple of tipsters for BGR are correct, we could see the Apple iPad 2 make an appearance quite soon. The tipsters say that AT&T corporate stores are going to cut the price of accessories for the Apple iPad by 50% starting tomorrow. And considering that the carrier doesn't usually cut prices unless a sequel is ready to launch, we should expect to hear some word from Apple about the sequel to the hugely successful tablet. As we reported, the WSJ recently published a story claiming that the iPad 2 is already being produced. The new tablet is expected to be faster and lighter than the original, with a front facing camera that will support Face Time. Although speculation of a possible launch of the device has centered on an April/May time period, if the WSJ story is correct, perhaps there have been enough units already produced to allow for an imminent release. You mean what LACK of new features will this new hardware be lacking...gotcha! iPad 2 won't have much, but will have something. Like a really cheap camera, but it's a camera! Then the iPad 3 will have a slightly better camera. Then the iPad 4 will have a good camera. People will buy every iPad for what it has though, not me.. But people. They'll only see what it has that the old version doesn't have, like a better camera or faster processor or better screen. That is their business technique and it seems to be working like clockwork.. Very good clockwork. yeah, this reminds me of Android. "1 Ghz Snapdragon!! Wow, this beats the socks off of my 999 mhz TI-OMAP processor and my friend's iPhone's 999.9999 mhz processor! What a game changer! iPhone is dead! Apple is scared out of their pants and they don't know what to do! There is a new king! Drooiiid!!" Now lather, rinse, and repeat for every single flaghship Android device that is released. That is a little off don't you think. Consider the android devices of today. Cameras, new UI, stronger builds, 3D camera, and 3D in the displays. Tablet and phone UI. Lets compare. Remember the G1 and motorola Droid of back in the day. And look at these devices now. 4 inch + screens. Docks and dual-core power. Now lets compare the iPhones. Small bump in power, slightly nicer screen and front facing camera. Apple has method. They do small changes on their schedule to control costs and focus on making look nice and easy to pick up. They don't actually add more function to their OS. They let people make games and stuff for them. Apple removes all responsibility from the consumer to think. They do the UI and all the work and make sure everything is nice and smooth. The thing still can't fully multi-task. You lose out on features, and the ability to make your device your own, but I don't think that matters to Apple fans. As long as it works they are happy. Nope, I was spot on. You're the one who's off. And way off too. "Small bump in power"? The iPhone 4 is almost as fast as some of these later Android devices and will be the same or even faster when iPhone 5 is announced. And I don't know how you can say the Retina Display is a "slightly nicer screen". That's the understatement of the year. Which is harder: throwing on a large screen on a phone or creating the Retina Display. You're making it seem like throwing in a 4.3 screen is such a difficult feat, but it's not. And in just a little over a year, iPhone went from having no video capabilities to having the best camera in the U.S. market. Did you really expect Apple to make all the apps in the store, cause that's not how it works. And let's not do this multitasking thing again cause it accomplishes the same thing as Android. The only one who can talk about multitasking is WebOS. The only thing I'm missing out on is flash and the ability to decorate my homescreen. I feel like you guys are missing out on a lot more though. You know, like quality applications.... That should be a freaking big deal to you guys, but As long as Android fans can customize, they are happy. "They do the UI and all the work and make sure everything is nice and smooth" - isn't that a good thing? Im confused now. 3D camera and 3D screen sound really cool, but now i'm just waiting to see its practicality. Will it be something that's super cool the 1st month and annoying for the next 23 months, or will it be something that has the competitors scrambling to compete? And another thing. You're combining all the Android phones into one super phone. Not all Android phones have good cameras. Not all of them have 4+ screens. Only one is coming out with a 3D display. Combining all the features and strengths of many different manufactures and using it as basis for showing Android's growth doesn't make sense. A better comparison would be manufacturer vs manufacturer (like Apple vs HTC and not Apple vs HTC + Motorola + Samsung + HTC + Kyocera + whatever) or iOS vs Android OS. And what is this new UI you keep referring to? Maybe my memory is bad, but Android UI looks the same as on the G1. The only difference I see are skins and new widgets. The only company that I know has updated its OS is Windows. Well, discussing products as they come out is one thing, especially when a variety of products come out all the time. Discussing the same old product for a short time and then just predicting how much better the next one will be to back up your decision is sad. Talking about what is here-----talking about what's not here.....hmmmmm. You said it all. "every single flagship device that is released" Yeah, thats way worse than a full year of hyping the same single device non stop. Uh oh, iphone can't multi task, so "lets not do this thing again" lol. And when did Apple add the best camera out there? Must have missed that one. And what apps does apple offer that are not available on android? Some game or something? That's cool if youre in the 12-15 age range, but I'm a grown up. And as far as looking at android as it is, running on dozens of devices.... Well it does. Who told apple to only make one? I never got the notice that they were restricted in some way, Man, you guys just keep drilling that no phone beats the iphone in any way ever, and it's as untrue now as it ever was. ok, so iphone can multi task in the sense that that is what apple wants to call it, but its still not real. I'm not really comparing it to Android, its just that apple claims things sometimes that aren't true. And the camera isn't anywhere near the best, but perhaps it was one of the best at one time. Perhaps the pictures just look better on apples screen than when they are printed out? Apple has made no significant contributions to cell phone photography. As for the rest of the tangent you went off on, I never made any of those claims.